This is very easy and quick side dish with brinjal. 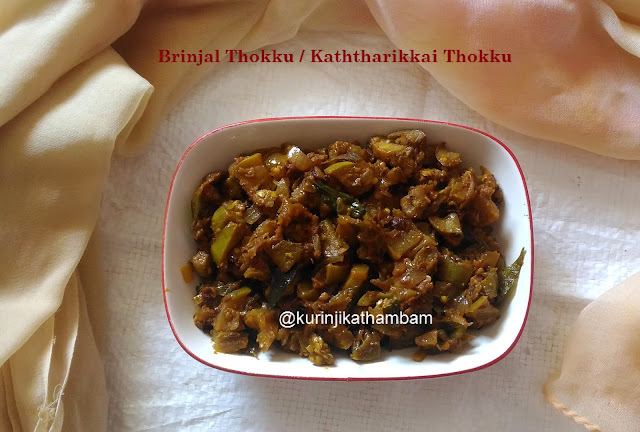 Brinjal thokku goes well with roti and any rice varieties. Click HERE for 30+ Fry / Poriyal Recipes. 1. Wash and cut the Brinjals into ½ inch pieces. 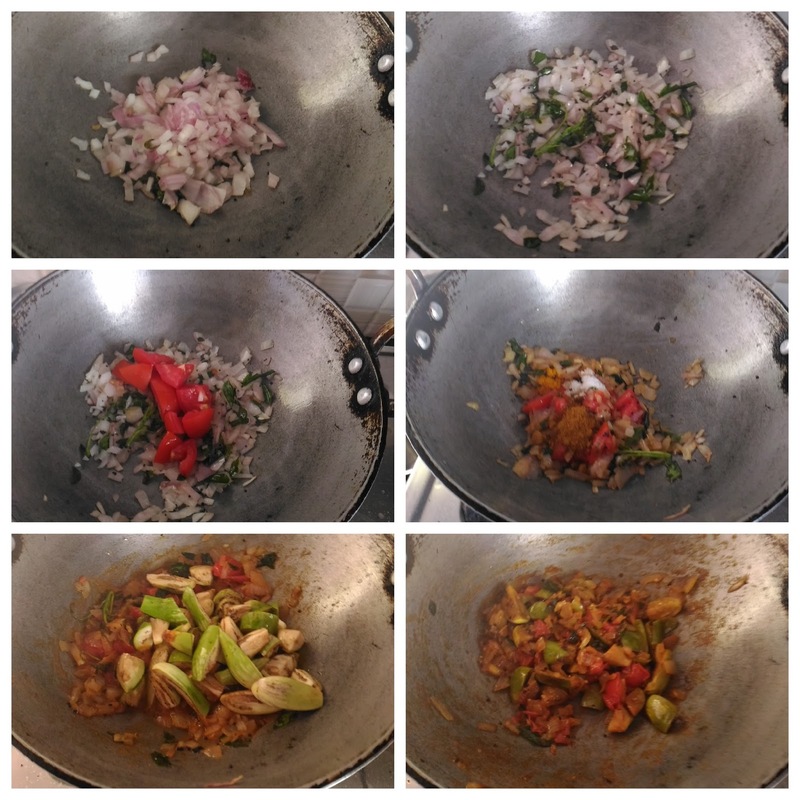 Put the brinjal pieces into the water to avoid the colour changing of the Brinjals. 2. Heat the oil in a thick bottom pan, add mustard seeds and wait for popping. 4. Add finely chopped onion and fry till the onion becomes translucent. 5. Add finely chopped tomatoes and fry till the tomatoes become mushy. 6. Add turmeric powder, sambar powder and salt. Mix them well and fry till the raw smell goes off. 7. Now add the chopped Brinjals (from 1) and fry for few seconds. 8. Sprinkle little bit water and mix them well. Close the lid of the pan and cook till the Brinjals become tender. Tasty and yummy Brinjal Thokku is ready to serve with hot rice. 1. Adjust the sambar powder level according to your taste. 2. Add more onion gives more taste.